During the holidays, I have a love/hate relationship with wrapping gifts. I love the brightly colored wrapping paper, the ribbon and bows, and those cute little gift tags and stickers. But, admittedly, I am a horrible gift wrapper. I either use too much paper or not enough, and I can never figure out how to get the ends taped up just right. But at the end of the day, it is just something that is going to be torn to shreds and thrown out moments later, so I try not to stress about it much. I ordered most of my gifts online this year, so I was anxious to get them wrapped and mailed out. The only problem was I didn’t have any wrapping paper. Two things I love are being creative and saving money, so I combined these two concepts and decided to creating my own wrapping paper this year. I grabbed some craft postal wrap, cookie cutters, and paint. Then, I headed to the patio with the kiddos for a fun project. We used the cookie cutters and paint as stamps to make patterns on the postal wrap. While it’s a bit messy, especially with children helping out, it’s easy and fun to do. After the paint was dry I wrapped the gift (or attempted to) and added a bit of ribbon as well. 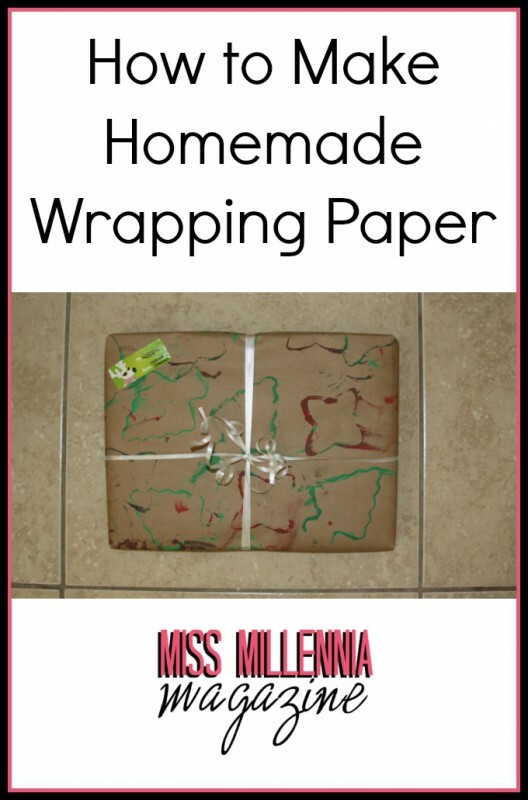 Homemade wrapping paper is a fun and easy project for the whole family to enjoy. The possibilities are endless! You can find objects you have on hand to create different designs. For older kids part of the activity can be the hunt for supplies to use, and then helping to wrap later. Some additional ideas would be to use newspaper, paper bags, tinsel, yarn, ribbon, stickers, and foam shapes.